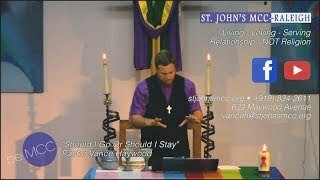 Join us for our first Transformation Chew and Chat on Sunday, October 16 when we will consider the question “If the house is on fire what do you grab and take with you?” We specifically will be considering this in the context of our community at St. John’s, but your answers may tell you something about your own core values and beliefs. Come prepared to contemplate and play. We also will be doing a “word mapping” project where we will nominate our own single words – adjectives, nouns or even verbs – that best describe what we value at St. John’s. Our “chew” for the day is chili. We will host a St. John’s Chili Cook Off! Sign up on Sunday to enter a crock pot of your favorite chili recipe. Only the first seven entries will be considered, or you can bring cornbread, salad, beverages, or a dessert. Team entries are welcome. A grand prize as well as one honorable mention will be awarded. Join us for a hot afternoon!